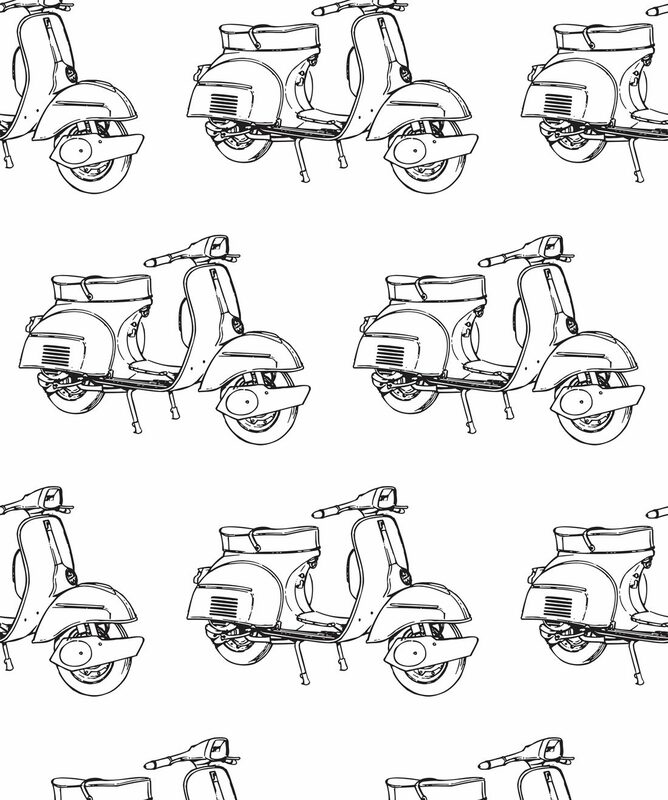 This scooter wallpaper is a simple design using the classic vespa. 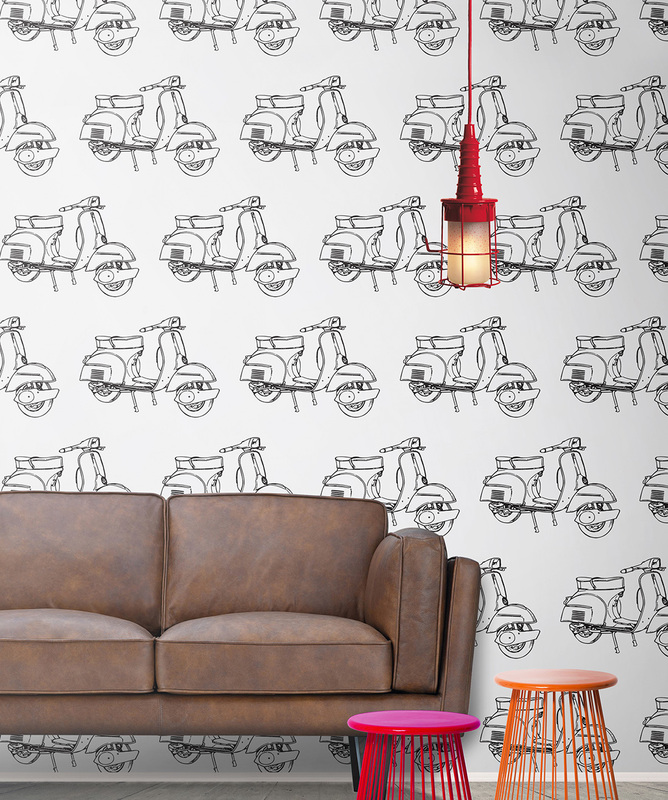 A removable wallpaper is a perfect match for achieving a modern and minimal Scandinavian space. 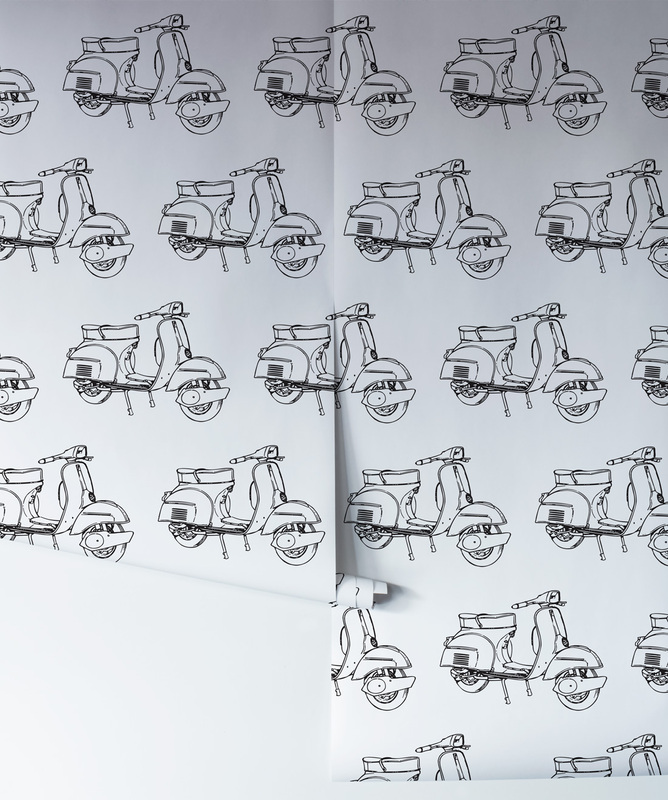 This peel and stick wallpaper is easy to apply and no fuss to remove, leaving no mess behind.